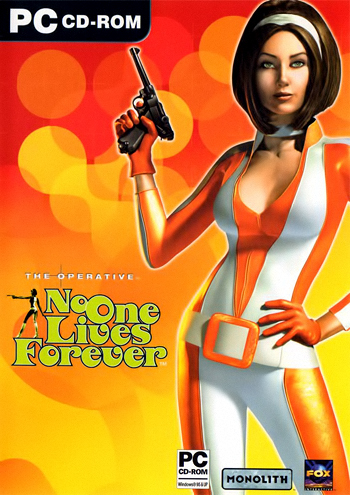 No One Lives Forever, the hilarious and challenging Spy-FPS game trilogy about the British intelligence agents Kate Archer and John Jack, has been impossible to buy for quite some time. Complicated and messy ownership rights between several publishers, who hasn't shown any interest in resolving the problem, has left the game series permanently unavailable. Because of this, the games can now be downloaded for free instead. Each game has been packed into one single file for easy and hassle-free installation. They are all pre-updated to the latest game version, and include community patches for widescreen resolution support. 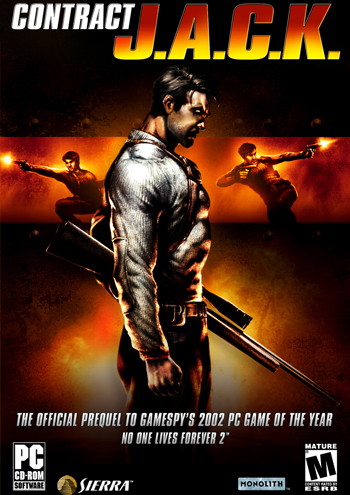 No One Lives Forever, original and unforgettable FPS trilogy by Monolith Productions., developed and released in the early year 2000s. There is one year in between each game. 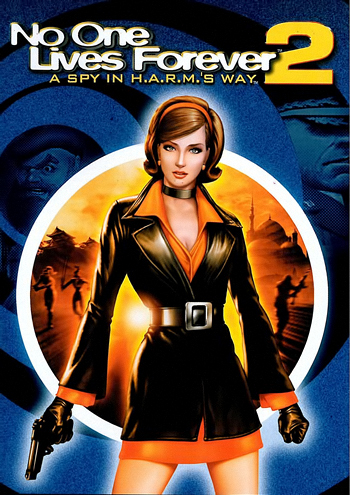 The games are famous for there Austin Powers like humor, and of course the main Character, Kate Archer. All 3 games have a distinct 70's style and a set of very original characters. The funny and eccentric personalities of the game is probably whit NOLF is being remembered for, and why it's still worth playing, even though it uses the horrible Lithtech engine. The first and most original game. Looks very rough, but is still worth playing due to it's awesome sense of humor and it's challenging and very well balanced game-play. Technically a much better game than the first NOLF, even though only two years had passed. The concept of being able to play the game in different ways work extremely well. The player can either complete the missions with pure action, by using stealth, or by using a wide variety of gadgets. Or any combination. The last game, which is in fact a prequel for NOLF 2. In this game the player takes control of John Jack, another British intelligence agent, that has been caught up in a bad situation.